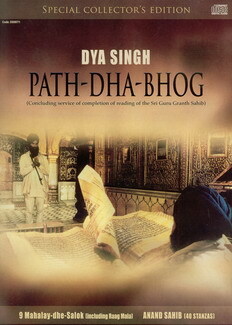 Benti Chaupai (also referred to as Chaupai Sahib) is a hymn by Sri Guru Gobind Singh. Benti Chaupai consists of three parts: Kabiyo Bach Benti Chaupai, Arril and Chaupai, and Savaiye and Dohra. Kabiyo Bach Benti Chaupai is normally referred to as Chaupai in short. This prayer is part of the Dasam Granth. This hymn supposedly offers one protection and security and many Sikhs recite this Bani to gain spiritual safety and defence from external and internal enemies, worries and afflictions. The Gurmukhi gives one self confidence and an upbeat feeling. This Bani gives one the feeling of reliability and dependability on the Lord.